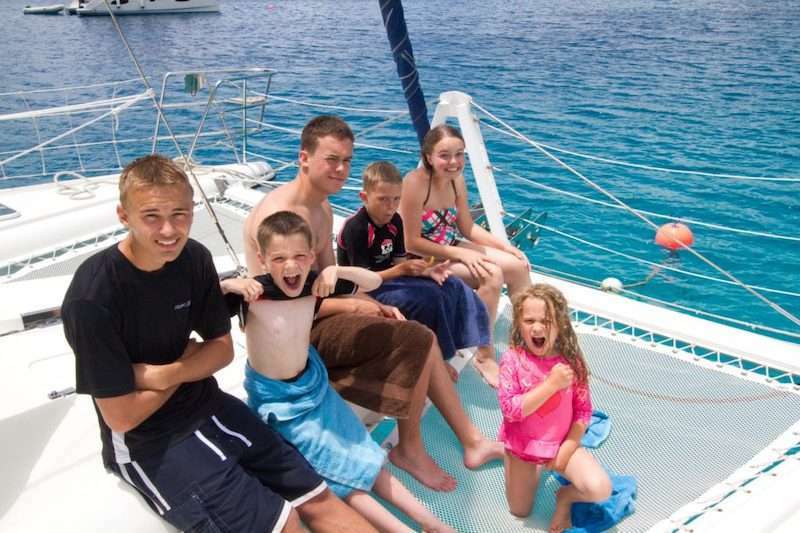 Charter catamaran Stand By One is the ideal boat for Family Friendly Charters. 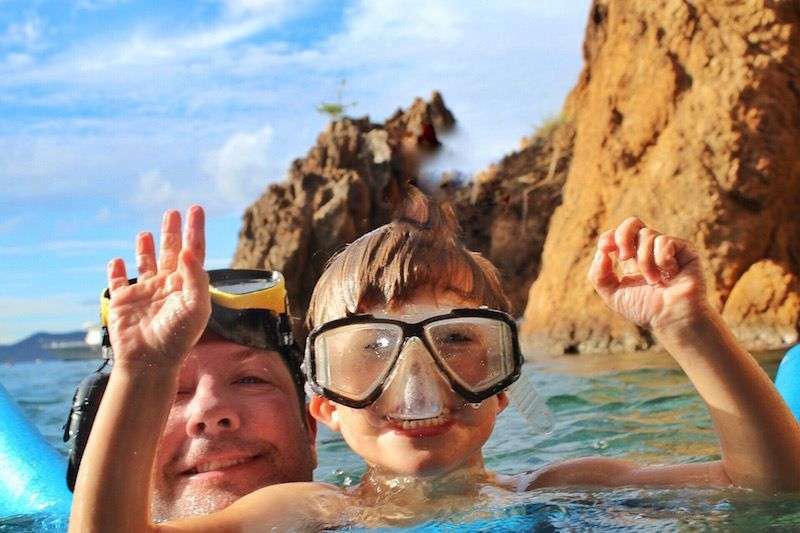 Charlotte and Tyler are geared up to provide a week of fun activities to keep families entertained, active and satisfied. Special Offer: $100 discount per child under 12 years of age. Valid for up to 3 children. Stand by One is a 49-foot Fontaine-Pajot catamaran with a crew of 2. 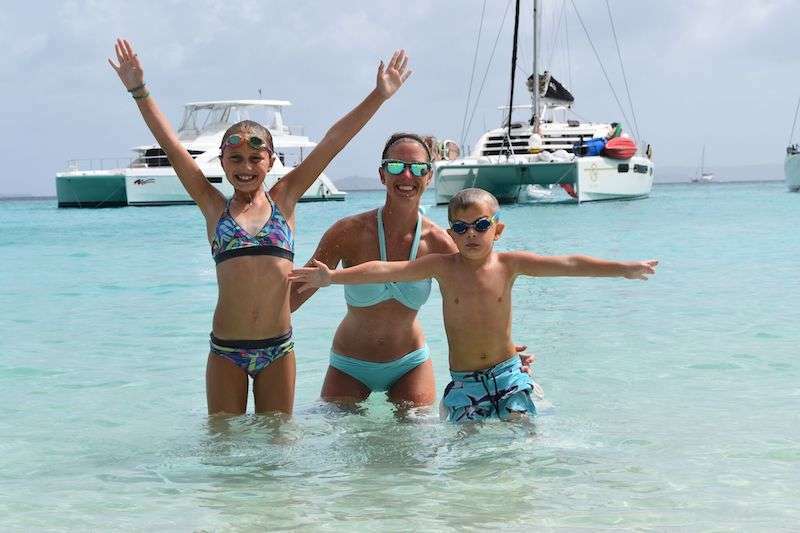 This catamaran is fully air conditioned and accommodates up to 10 guests in 5 cabins (2 Queens, 3 Doubles) each with ensuite head (sink, shower, electric-flush toilet). Stand By One has a 12-foot dinghy with 15HP motor, 2 standup paddleboards (SUP), snorkel gear, floating mat, TV/DVD in salon, iPod dock, on board WiFi for email. Be sure to check out their special kids' menu, too ! 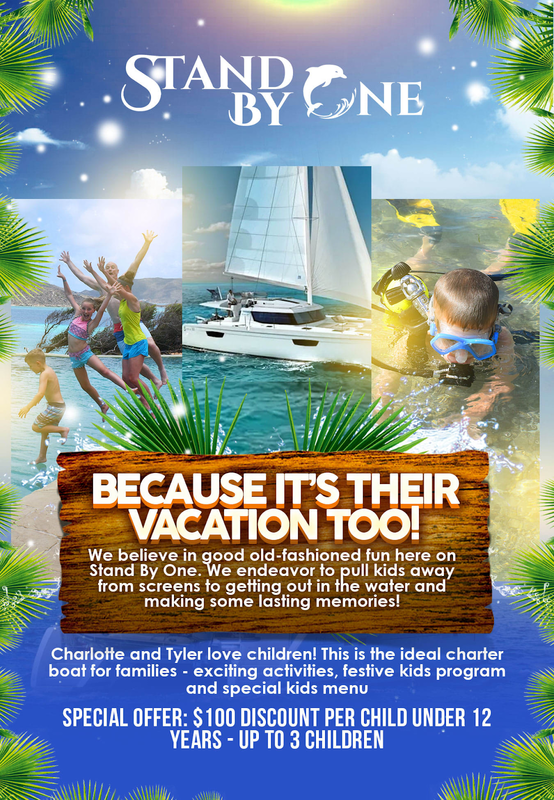 Captain Tyler and Charlotte are an energetic and enthusiastic crew who deliver a wonderful experience tailored for you. They are also super kid friendly and love to have families on board.